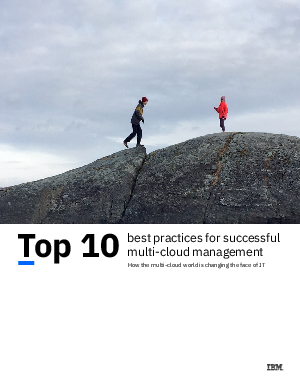 > IBM APAC > Top 10 best practices for successful multicloud management. A multicloud world is quickly becoming the new normal for many enterprises. Learn how the multicloud world is changing the face of IT. Understanding cloud environments and making decisions about multicloud management can be complex. IBM has identified ten key pain points and related best practices that help organizations successfully navigate these transformations.